A Complete set of The Rising, The Betrayed, and The Taking, plus bonus short story 'How I Met Your Mother'. Seventeen-year-old Serena is the youngest member of a dying race. The increasing acidity of the ocean is destroying her home, slowly eating away at the once thriving underwater landscape. But since the night of Serena’s birth, it is an outside force that most threatens their dwindling population. 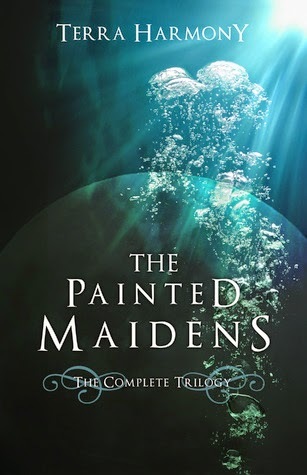 Werewolves, who once served as protectors for mermaids in the Kingdom of the Undine, now seek to eliminate all who dwell in the ocean—and Serena is about to find herself right in the middle of the deadly conflict. I had very mixed feelings regarding this novel. The manner in which it is written is unusual; the sentences are very formal with few contractions, leaning towards a third person narrative. This story is set in a wonderful underwater world of a dying paradise. The stilted formal society of mermaids and mermen is slowing losing it’s population through adversity, tragedy and prejudice. Our main character, Serena, is an intelligent mermaid full of a need to learn and a dangerous sense of curiosity which constantly leads her through a maze of peril and treachery. Through no choosing of her own, Serena becomes a liaison to their natural earth enemy, the werewolves. This tale leads us through convoluted path of discovery and betrayal in a never ending history of war and politics. If you are a young teenage reader, love mermaids and their underwater world that leads you through times of fun and more times of trouble, then this read is certainly for you.